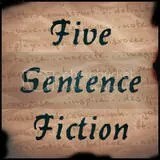 What it’s all about: Five Sentence Fiction is about packing a powerful punch in a tiny fist. Each week I will post a one-word inspiration, then anyone wishing to participate will write a five sentence story based on the prompt word. Thank you for your comments. I’m so happy you enjoyed the story and thank you for stopping by the Cow Pasture. I love hearing from people. Loved the fact that she didn’t wither during his onslaught and stood for what she wanted :). My kind if woman. :-). So glad you enjoyef it and stopped by the Cow Pasture. I love getting comments and look forward to reading more of your. Loved the pace of the narration! Thanks so much. I’m happy you enjoyed it. Snd thanks for stopping by the Cow Pasture. I love getting feedback and look forward to hearing from you again. Loved it, use of the nickname Sweet Cheeks was very clever. Thank you, I so glad you enjoyed it. I had fun writing it and thanks for the feedback. Love it when I hear from you guys. I liked the ending it was well done. Thank you. I appreciate the positive feedback. I’m thrilled you took the time to visit the Cow Pasture and look forward to more conversation. I am glad she is standing up for herself. Love your story! Very well done, in such small space! Thanks so much for your kind comments. I love getting feedback. So glad you stopped by the Cow Pasture. I look forward to more conversations. You do have a way with words. LOL I enjoyed the playfulness of this piece. Glad you liked it. I had fun with this one. A real soap opera this is! I can see their large faces filling the TV screen with emotion. Thank you so much! I’m so happy you enjoyed it. I had fun writing this little scene. I love getting feedback. Thanks so much. The way you linked the sentences with dialogue…you come close to cheating. So glad you liked the story. I had gun wriying this one. Thanks for commenting.